I hope that my students will be able to see that we are all connected, not only to each other but also to the environment. I want them to have the tools they need to change the world in a positive way. After being assigned to work with third graders one summer, however, her perception of younger students began to change. That experience of connecting with younger students inspired Lebby to merge the realms of outdoor and elementary education. A search for outdoor leadership programs led her to the University of Washington’s graduate residency program at IslandWood, where she developed outdoor education plans for elementary school students before earning her teaching credentials through the College of Education's elementary teacher preparation program. Lebby’s experiences at IslandWood planted seeds that grew into her vision for teaching, and today in The Option Program at Seward (TOPS) K-8 School, her approach to education is anything but conventional. Originally founded by parents in the community, TOPS is an option program with a focus on social justice that students across the Seattle public school district are able to access. Lebby approaches her teaching with an environmental lens. 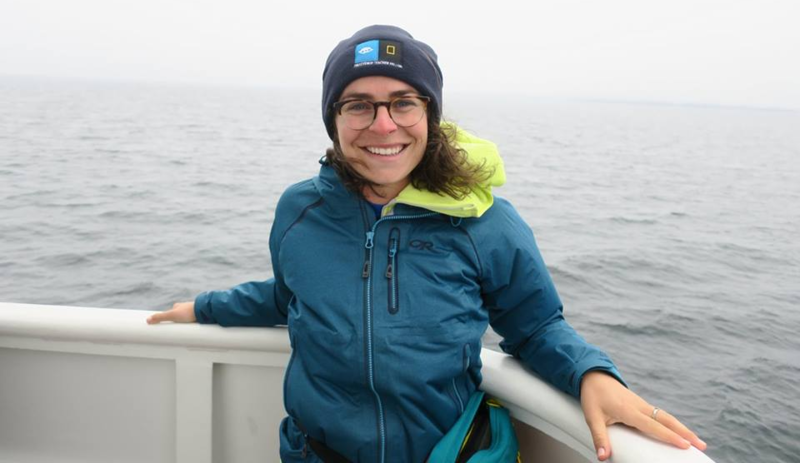 Last year, Lebby was named the 2017 Grosvenor Teacher Fellow and invited to join an expedition to Alaska with National Geographic and Lindblad Expeditions that included ecologists, naturalists and educators. Lebby is now applying those experiences in her lessons on ecosystems and climate change. Recently, she used examples from Alaskan ecosystems to facilitate a lesson on species interactions. Lebby assigned each student a specific animal species to research and present to the class. On presentation day, the students sat in a circle and took turns presenting, passing around and adding to a ball of yarn with each turn. The yarn become a visual representation of how all species are interconnected, enabling the students to see the impact that eliminating one species would have on the ecosystem. Beyond science, Lebby is incorporating elements of her trip into every subject she teaches. Ultimately, Lebby wants her students to take with them a greater awareness of who they are and the impact they have on the world.